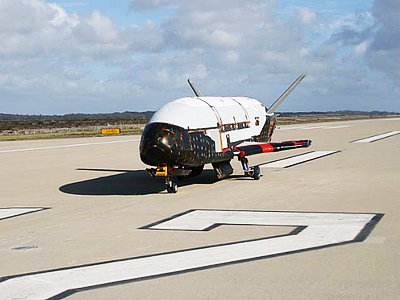 Little is known about the US Air Force’s X-37B which ended its first mission three months ago. However, the craft is set to fly again on an unknown mission for unknown reasons. 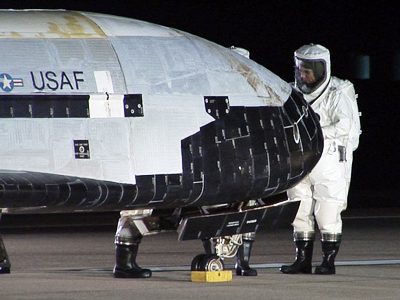 Pending weather, the X-37B orbiter will launch March 4 on an Atlas V rocket from Cape Canaveral. The Air Force has waited no time at all following the first successful launch. 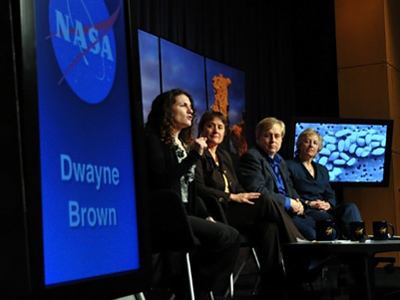 Successful being relative, since no one outside the program knows what the mission entailed. What is known however some specifics are regarding the space craft; a smaller shuttle-like vessel, with a snub-nose takes off in the nose of a rocket and later lands vertically like the shuttle. In addition, the craft can remain in orbit for months continually recharging by solar energy. In addition, the US government has explained the mission is geared towards helping engineers test new technologies, such as guidance and navigation systems and other materials. Some have argued the craft may be a new US spy plane. Following the last launch a number of armature astronomers claimed to have seen and calculated the orbit of the craft between 40 degrees north and 40 degrees south latitude, which would put the vessel in direct flight over areas like Iraq, Iran, Afghanistan, Pakistan and North Korea.